A coach service between Glasgow and Edinburgh has been extended to run 24 hours a day, seven days a week. 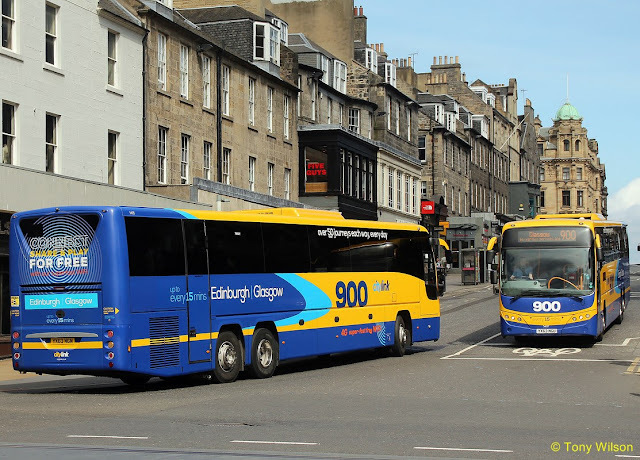 Most Scottish Citylink's late-night services in both directions will also stop at Edinburgh Airport. The firm said the move was in response to growing passenger demand for an overnight service. Services will operate at least every 15 minutes during the daytime, half hourly between 19:30 and midnight, with a further six early-hour departures. Peter Knight, of Scottish Citylink, said: "The 900 service has gone from strength to strength over recent years. "With a growing number of business travellers, commuters and leisure users using the service between two of our largest cities, there has been great demand to increase our overnight connections throughout the week. "By adding a late night stop at Edinburgh Airport it also means that Citylink is proving 24 hour a day transport to and from one of our most important transport hubs." Some of the new late night services will also stop at Maxim Office Park, near the M8 motorway, about 12 miles from Glasgow city centre. Park director Craig Ritchie said: "The growth of Maxim Office Park and Eurocentral has resulted in a huge demand for increased public transport links to the area."